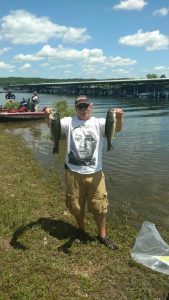 It is often mentioned amongst anglers that a five fish per day in any multi-day event will typically put you in the money. That notion held true at the 2016 TBF Nebraska State Tournament. Solid weights were weighed in after day one as many anglers found fish located in the recently flooded bushes. 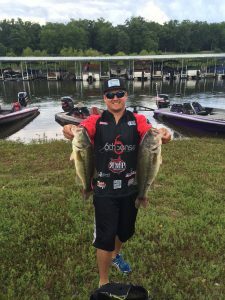 Ben Milliken of Bennington, NE was leading after day one with a 5 fish limit of 18.54 pounds. That bag was anchored by a solid 5.44 pound largemouth. Bob Walla brought in a solid back at 15.05 pounds. Rounding out the top 5 after day one was Shane Oltjenbruns (14.56), Robert Hime (14.21) and Lee Wubbels (12.90). Day two provided for a completely new fishery as water levels dropped several inches overnight. Many of the day one leaders struggled to adjust. Milliken’s 3.5 pound lead over second place Walla disappeared as he was only able to bring one fish to the scales at 1.55 pounds. Walla also struggled bringing just over 3 pounds to the scales opening the door for Shane Oltjenbruns and Robert Hime. 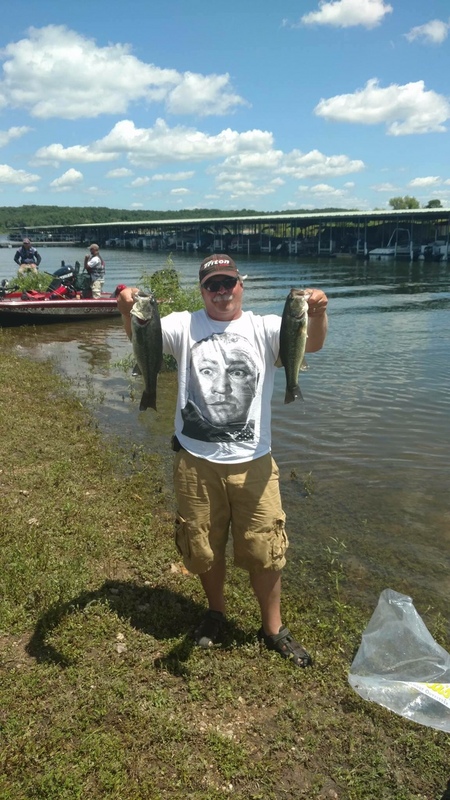 Oltjenbruns’ day two bag of 13.95 coupled with his solid day one allowed him to capture the title with a two-day combined total of 28.51 pounds. 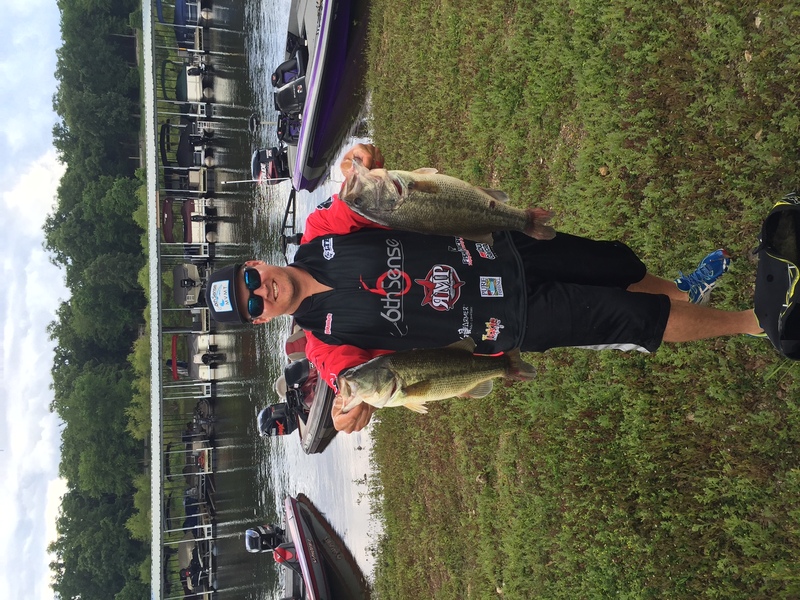 Robert Hime finished second nearly 3 pounds back with a two-day total of 25.39. Rounding out the top 5; Lee Wubbels, BJ Miller and Dave Thomsen. Although limits eluded him, Paul Huse put together a two-day effort that tallied 20.81 pounds and earned him the 2016 Co-Angler title. Jacob Rasmussen shocked the Co-Angler field after day one when he brought in a gigantic bag at 17 pounds. Rasmussen put everyone on notice that he was here to win the title. Though over 5 pounds behind Rasmussen, Huse brought in a solid bag that weighed 11.66 pounds. Much like the rest of the field, Rasmussen struggled on day two with just over 3.64 pounds. Brian Sorensen brought in a nice bag to 11.66 pounds to lead all day two Co-Anglers. It was Paul Huse’s consistency that allowed him to capture the title with a day two total of 9.15 pounds. 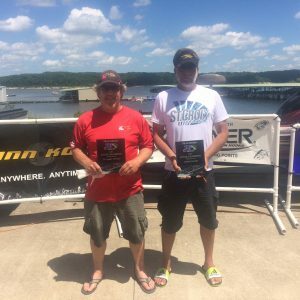 Rounding out the top 5 in the Co-Angler Field was Jacob Rassmussen finishing second followed by Brian Sorensen, Billy Ray and Brian Daschel. The qualifying anglers will compete in the 2016 Semi Final to take place later this fall in Pickstown, SD. Complete tournament results can be found HERE.